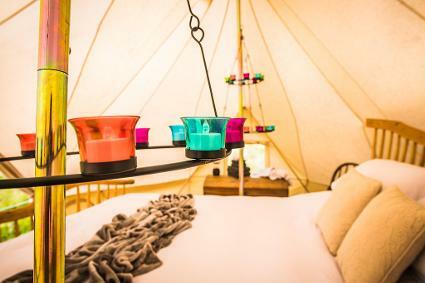 Huge 6m bell tents boasting super comfy king size beds plus single beds for the kids. 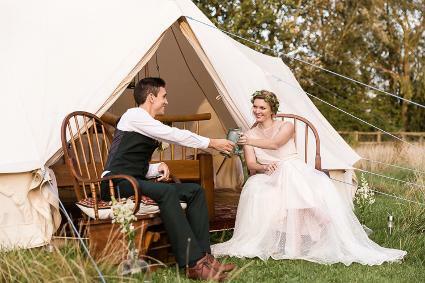 We have 10 stunning canvas tents in our glamping meadow which also offers posh eco toilets & hot showers. There are 6 acres of stunning gardens, paddock and woodland for guests to enjoy, all set around our 1/3 acre lake with a large decked area from which to enjoy a drink as the sun goes down. A beautiful, secluded & tranquil "oasis in the fens".